The Humphrey Visual Matrix utilizes new technology known as "Frequency Doubling Technology". 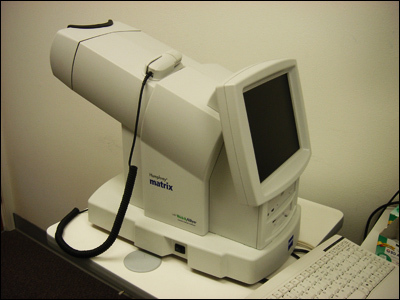 This machine is specifically designed for glaucoma suspects or patients and has GPA (glaucoma progression analysis) capabilities. By targeting and identifying the certain cells in eyes that deteriorate first as a result of glaucoma, this machine is invaluable in the detection and treatment of glaucoma.